Caring for a loved one with Alzheimer’s Disease or Dementia can be a frustrating ordeal, especially when your loved one may become frustrated or agitated easily and take out their aggression on you. Elderly individuals with memory loss have a decreased ability to communicate with people and carry out daily tasks on their own. At A-1 Home Care, we understand what your Elderly loved one is going through and we respect your efforts in caring for your loved one when they need it most. Our non-medical homecare agency has experienced Alzheimer’s caregivers, nurse aides, and companions who can provide compassionate living assistance for your loved one. We know that you have your other obligations in life, and we want to reduce your stress. We serve the communities of Costa Mesa, Fountain Valley, Westminster, Newport Beach, Corona Del Mar, Huntington Beach, Seal Beach, and others in Orange County and Los Angeles County. 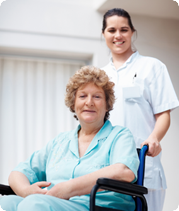 Our caregivers can assist with daily household tasks in addition to personalized care for your loved one. We can assist with creating a daily routine to make each day more predictable and can help with personal hygiene and grooming, bathing or showering, healthy meal preparation, engagement in stimulating activities, range of motion exercise, transportation to medical and social appointments, and more. 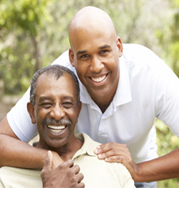 A-1 Home Care is a non-medical caregiver placement agency that has been in business since 1991 with an A+ Rating from the Better Business Bureau. 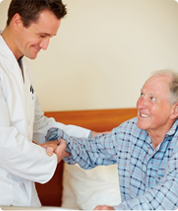 We specialize in a variety of in-home care services for Elderly, Senior, and Terminally Ill individuals such as Parkinson’s Care, After Surgery Care, Arthritis Care, Diabetic Care, Incontinence Care, and Hospice Care. If your loved one is a carrier of long-term insurance, we accept Penn Treaty, CALPERS, John Hancock, Bankers’ Life & Casualty, Veteran Administration, and MetLife Insurance.